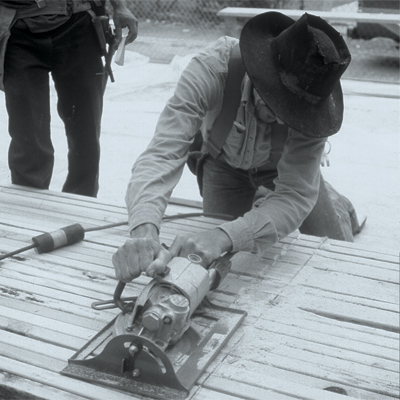 With the passing of Larry Haun, the homebuilding world has lost a legendary carpenter, author, and friend. Celebrate the life of legendary author Larry Haun with this collection of video excerpts, framing articles, and words of wisdom straight from the man himself. 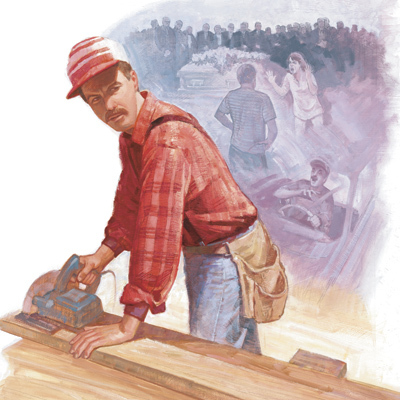 From Larry’s very first Fine Homebuilding article, “Production-Line Jamb Setting and Door Hanging,” to his blog describing “A Carpenter’s Life” in his own words, this homebuilder left a lasting impression on the readers of Fine Homebuilding. 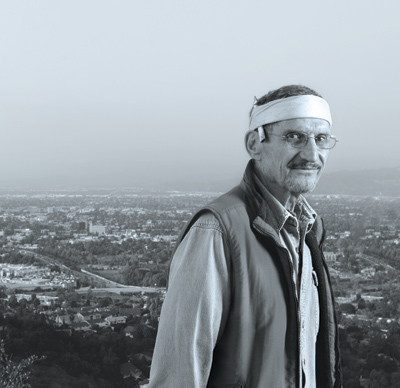 Longtime Fine Homebuilding contributor Larry Haun remembers a pivotal time in American building, the building boom in post-World War II Southern California. 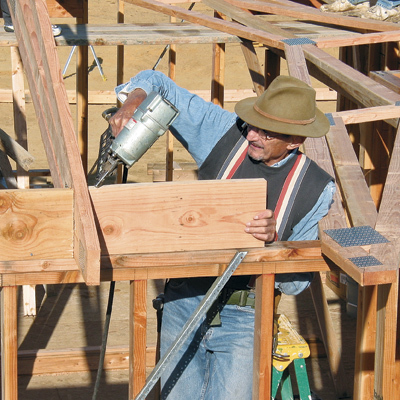 As Larry recalls, the need to build affordable housing for a lot of new Californians led to the adoption of assembly-line techniques in home building and the evolution of new tools, such as the California framing hammer, the pneumatic nailer, and the circular saw. 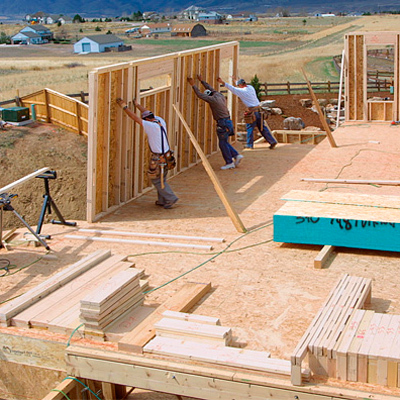 Production builders look for the fastest, most efficient means of getting the job done. Here, Larry Haun shares a method for installing door jambs and hanging doors quickly. One trick is to use nails instead of shims on trimmer studs, but there’s plenty more. 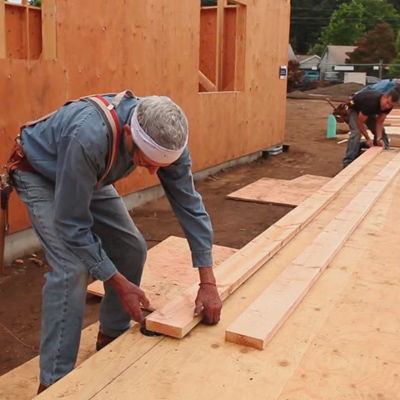 In this video excerpt from our wall-framing DVD, Larry Haun and brother Joe build the exterior and interior walls of a basic 1,600-sq. ft. house. Starting from the completed floor deck, they take you step by step through the entire process, showing you practical ways to organize tasks, streamline procedures and handle tools and materials efficiently. Visit our store to buy the DVD. 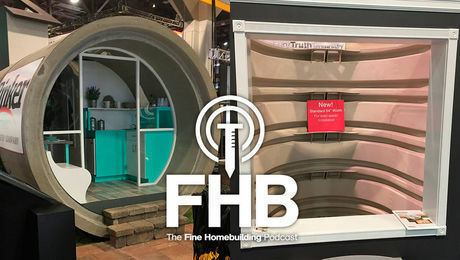 Take a peek at a carpenter’s view on things, when veteran framer Larry Haun talks about life, carpentry, and whatever else he wants to in this blog on FineHomebuilding.com. 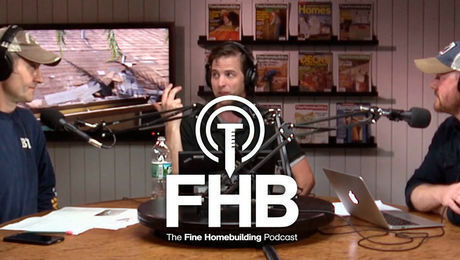 In this video excerpt from Framing Floors & Stairs, Larry Haun and his brother Joe frame the floor of a basic 1,600-sq. ft. house. They take you step by step through the entire process, showing you practical ways to organize tasks, streamline procedures and handle tools and materials efficiently. 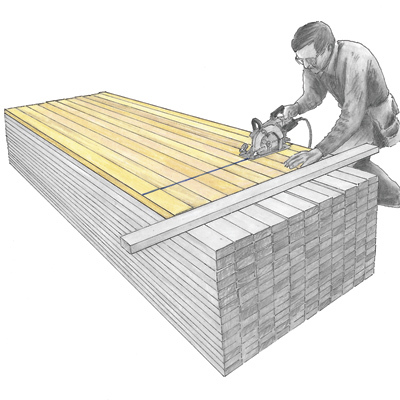 Here’s your chance to watch a framing master at work, and to become a better, more efficient carpenter yourself. 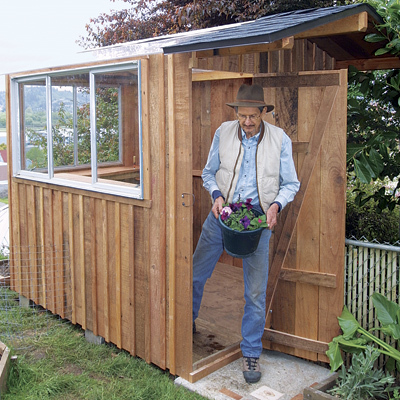 In this article, author Larry Haun builds a small, attractive greenhouse with salvaged and recycled materials that cost less than $80, using an innovative building technique that eliminates studs. 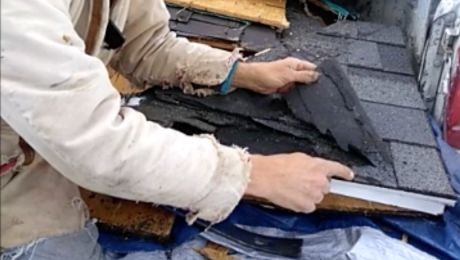 In this video excerpt from Framing Roofs, Larry Haun and his brother Joe build the roof of a basic 1,600-sq. ft. house. Starting from the top of the walls, they take you step by step through the entire process, showing you practical ways to organize tasks, streamline procedures and handle tools and materials efficiently. 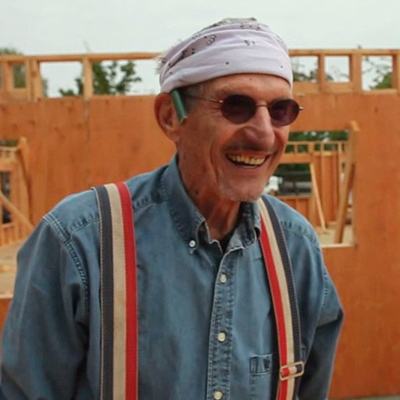 Veteran framer Larry Haun has been building house for over 50 years. 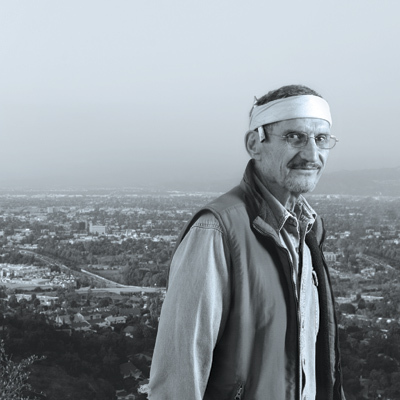 And having started out in the housing tracts of Southern California, he has learned to be as efficient as possible about the process. Here he distills his experience down to 10 fundamental rules. 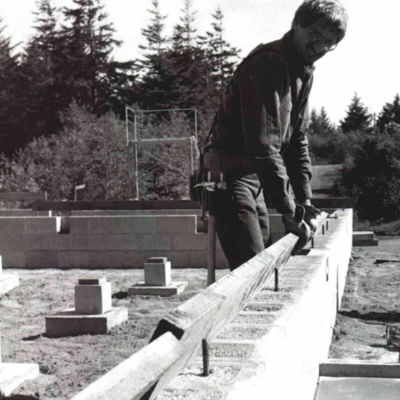 A short essay on how state of mind plays a role in job-site safety by a carpenter with four decades of experience. Good advice on a topic that doesn’t get much attention — but undoubtedly should. 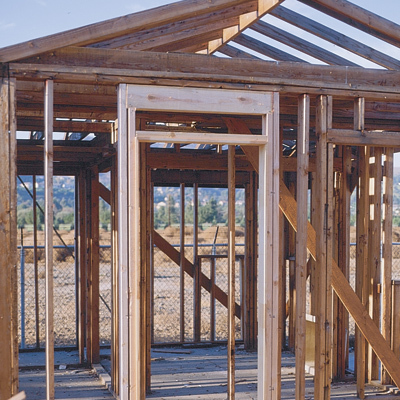 This article explains how to frame a crawl-space foundation, a system of wood posts and girders surrounded by a poured-concrete or masonry-block foundation. 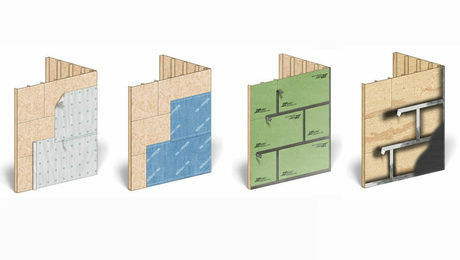 Author Larry Haun offers tips on placing and marking mudsills and laying out support posts. An accompanying chart lists typical spans for floor girders. A veteran frame carpenter walks you through the process of installing simple gable trusses by hand (no crane involved). 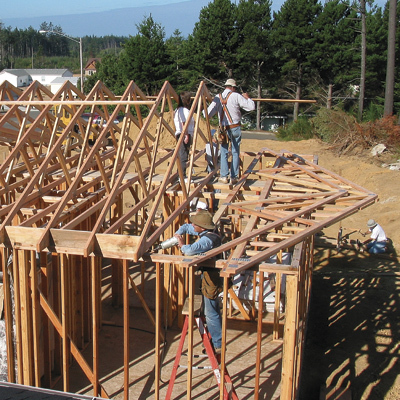 He offers tips for getting the job done quickly and accurately, along with guidelines for bracing the trusses. 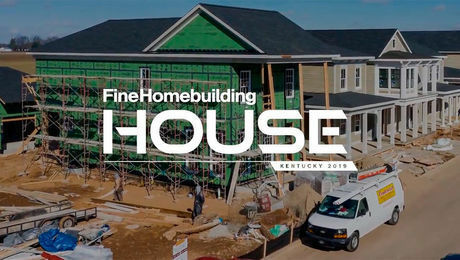 Take a look through this collection of building-skills videos featuring Larry Haun and fellow framer Scott Grice.